We undersand Information technology helps a lot to bring the information to the hands of our customers through mobile application. 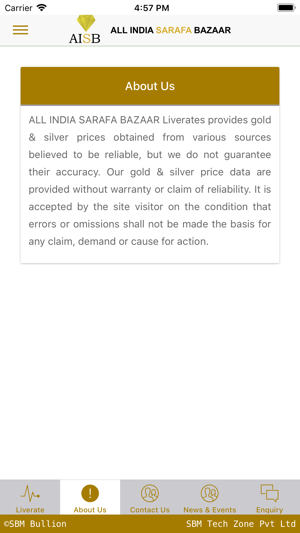 To facilitate and lot of queries from the Apple users to provide the IOS app facility, so we like to offer free IOS app which will have the options to view our competitive high volatile live price of physical gold and silver products to all our customers those who use the apple devices. We also have added notification facility to the app users to get notified instantly through the app notification functionality, about the new offers and the lower market prices as alerts which can be managed by the app users for their conveniences. 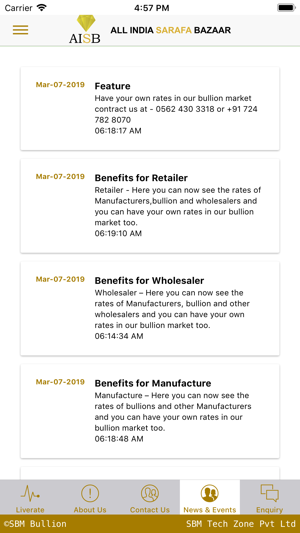 We are happy to provide the new IOS application which will make our customers more convenient to know the price were ever they are and can purchase our gold and silver products on competitive price. We offer Bullion - Gold & Silver at very competitive Prices. 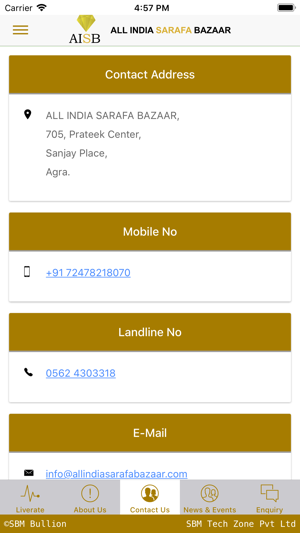 We have launched this mobile application to facilitate our clients to get live prices at any where and any time. Download this app to stay in touch with Bullion markets prices and news. 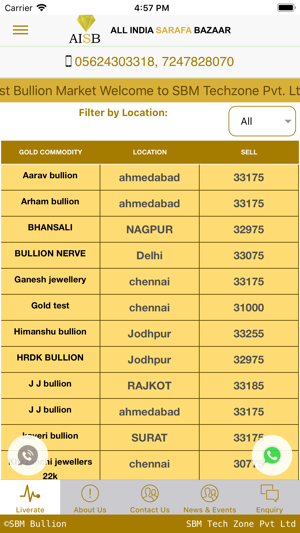 This app brings you to monitor live spot prices for gold & silver, along with our commodity prices. And also we will update often current market features and news via notification.Stay on top market by watching live spot and our bullion price movements of gold and silver. 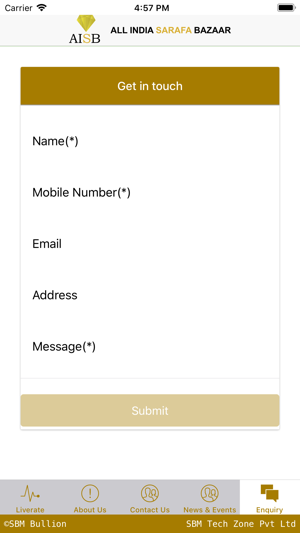 Keep up with the options to set the rate alert is very useful in which users can set the rate alert and it will be notified once the rate reached. And the rate alert history shows the report of rate alerts with status of previous alerts.